Ford Motor Company will add an additional 200,000 units of annual straight-time capacity this year. In addition, Ford will produce an extra 40,000 units by idling select plants for only one week during what has been the traditional two-week summer shutdown. The 200,000 annual straight-time capacity additions this year will come from Chicago Assembly Plant, Flat Rock Assembly Plant and Kansas City Assembly Plant, including increased production of some of Ford’s best-selling vehicles including Ford Explorer, Ford Fusion and Ford F-Series. The increased production at Kansas City Assembly Plant with the addition of a third crew, which Ford announced in early May, is included in the 200,000 increase. Additionally, 20 plants, including six assembly plants, will take a reduced summer shutdown this year. The assembly plants taking one week of shutdown are Chicago Assembly, Cuautitlán Assembly, Hermosillo Stamping and Assembly, Kentucky Truck, Michigan Assembly and Oakville Assembly. Ford will perform routine maintenance and model-year changeover work at the following assembly facilities: Dearborn Truck Plant, Flat Rock Assembly Plant, Kansas City Assembly Plant, Louisville Assembly Plant and Ohio Assembly Plant. This is the second year in a row Ford has taken the action in order to meet strong demand for its products. 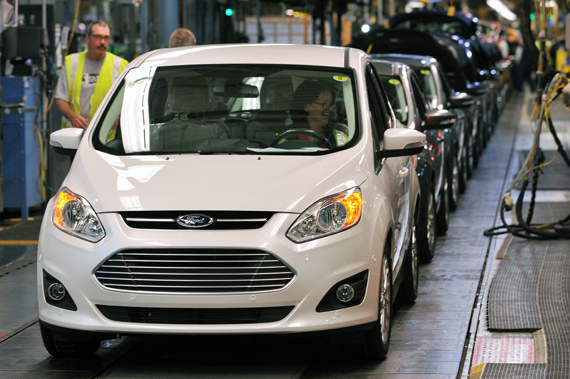 To meet demand for Ford vehicles, the company will add nearly 3,500 hourly jobs in 2013. 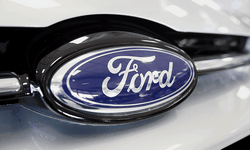 With its latest announcement of more than 2,000 new jobs at Kansas City Assembly Plant, as well as more than 1,400 new jobs at Flat Rock Assembly Plant, Ford is three-quarters of the way to its plan to create 12,000 hourly jobs in the United States by 2015. The company hired more than 8,000 salaried and hourly employees in the U.S. last year. Ford will announce its third quarter North American production guidance on June 3 during the May U.S. sales call. The production guidance will include the effect of the additional 200,000 units of annual straight-time capacity and the shortened summer plant shutdown schedule. The increased production already has been assumed in the financial guidance the company reconfirmed during its first quarter earnings report on April 24.